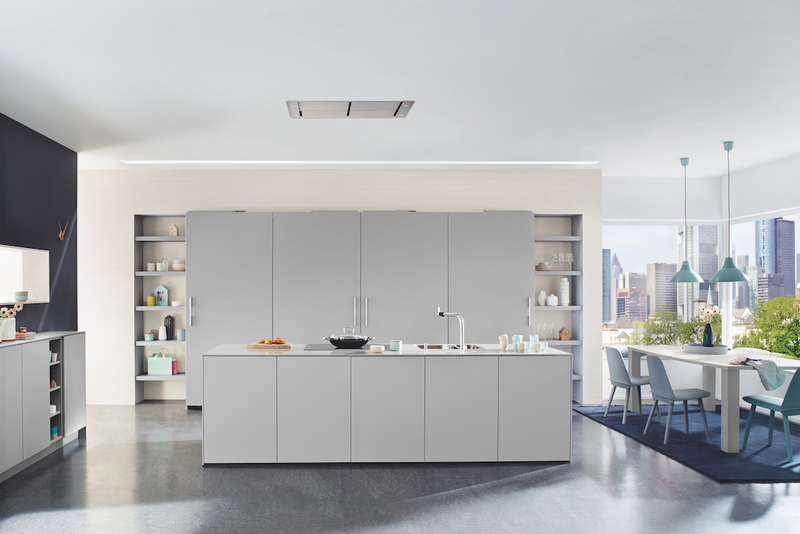 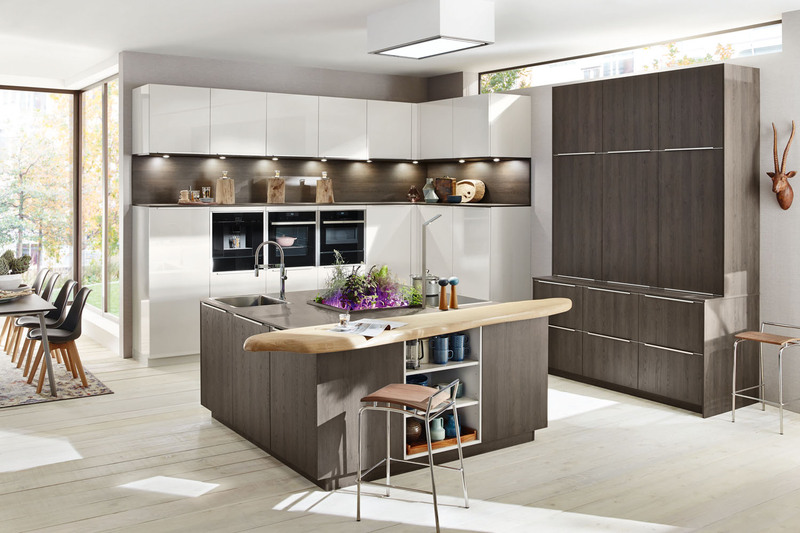 XL 1276, by Ballerina Küchen, is a modern melamine kitchen that has a matching carcass, ensuring a perfectly matching interior and exterior. 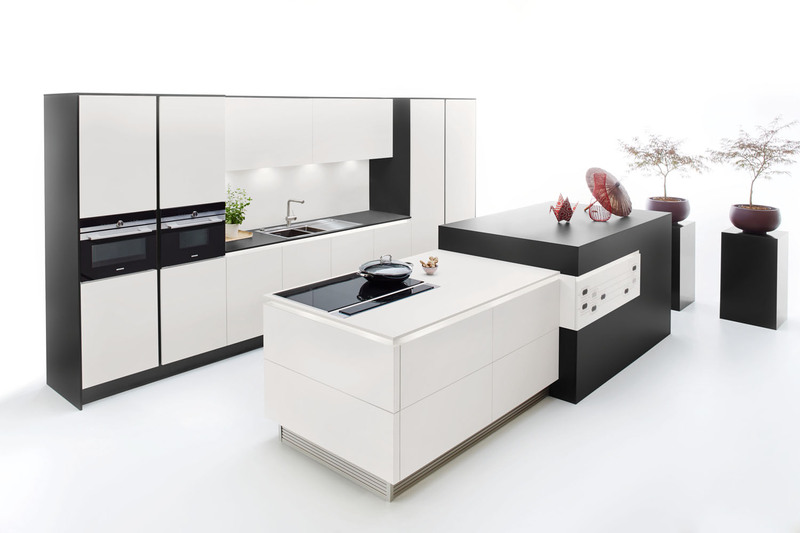 XL 1276, by Ballerina Küchen, is a modern melamine kitchen that has a matching carcass, ensuring a perfectly matching interior and exterior. 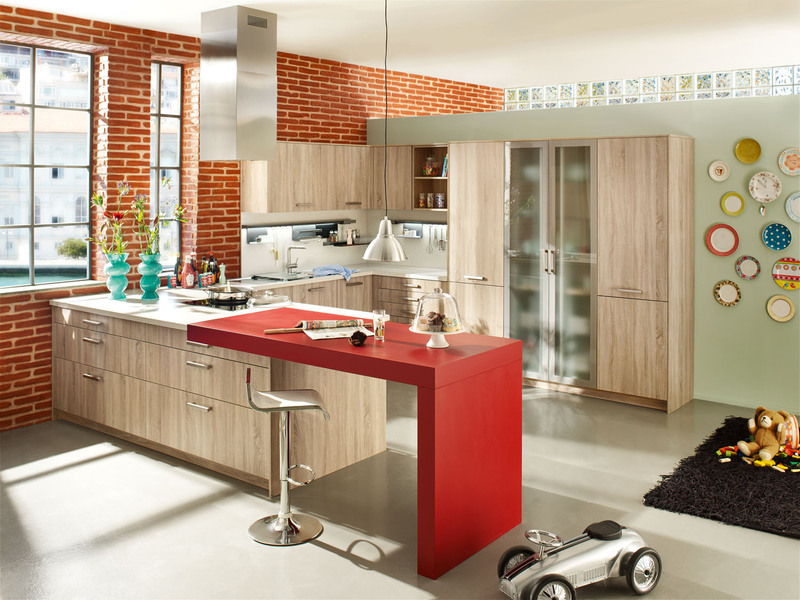 The extended countertop in red laminate is water resistant and adds a dramatic splash of colour to the wood coloured kitchen. 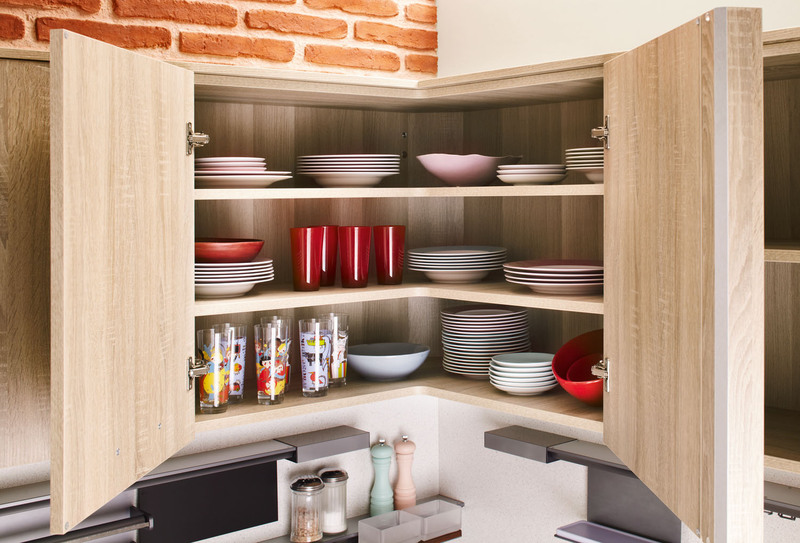 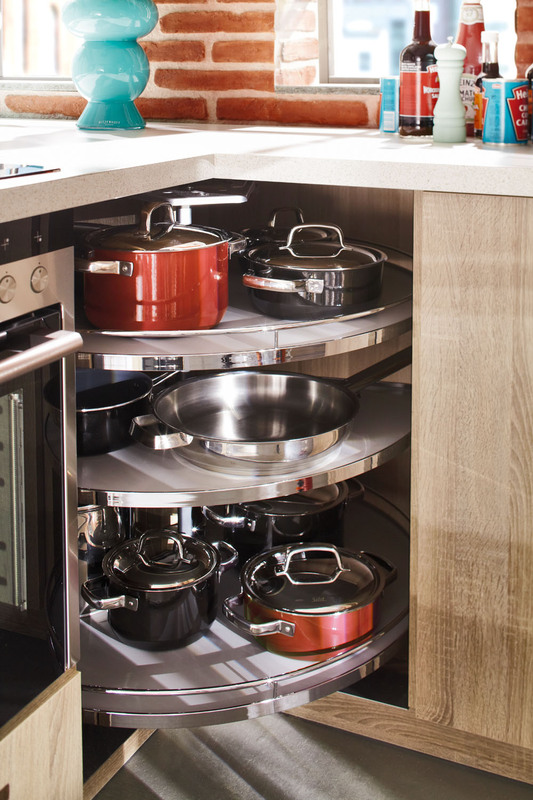 Handles are customisable to suit personal styles and preferences and can be integrated into to the doors as a groove. 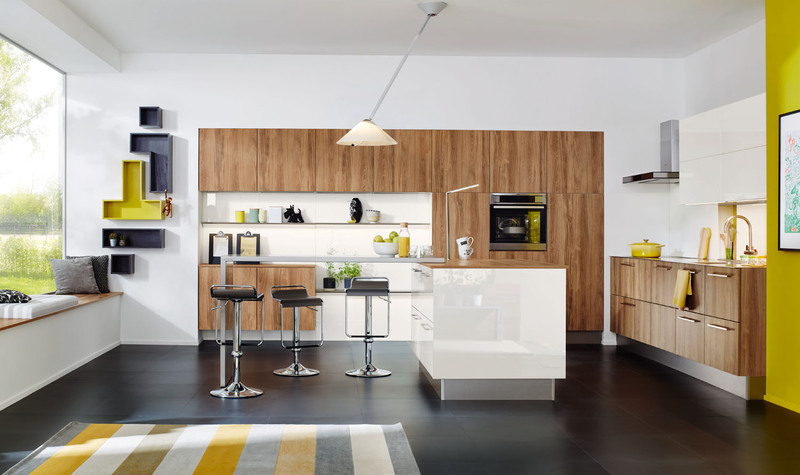 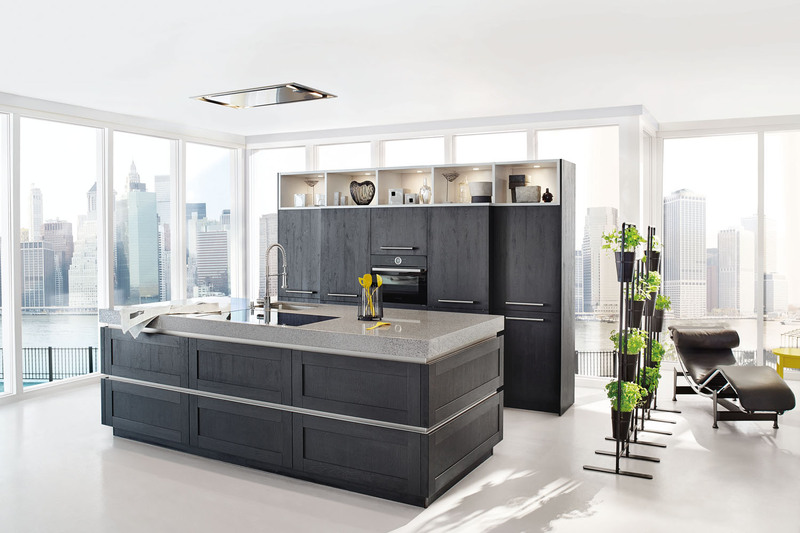 An open-plan kitchen in concept, this can be adapted to any space and mood.